The NC State College of Education is partnering with other entities across campus to host the Annual Homecoming Porch Party Friday, Nov. 3, from 4 to 7 p.m. as part of the 2017 Red and White Week activities. The Porch Party will coincide with the Homecoming Parade, which will begin at 6 p.m. The event is open to College of Education alumni, faculty, staff, students, friends and their families, and will be held on the front steps of Nelson Hall. There will be games, refreshments and giveaways, as well as a bluegrass band, children’s zone and photo booth. Registration is required by Oct. 27. 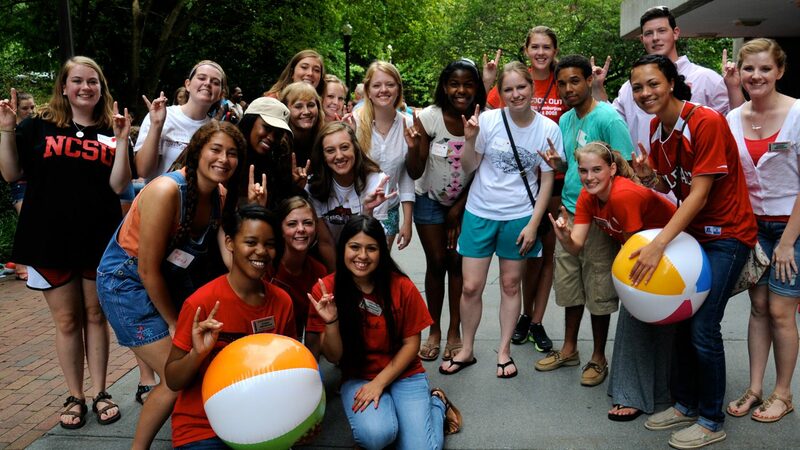 Other partners for the Porch Party are the Poole College of Management, College of Humanities and Social Sciences, College of Natural Resources, College of Sciences, College of Textiles, NCSU Libraries and Wolfpack Outfitters.